Here's another great interview with Joss Whedon in which he discusses The Avengers. He talks about the pressures of making the movie, compared himself to Nick Fury, revealed his favorite superhero combo in the film, and tells us what superpower he would like to have. One of my favorite quotes from the interview was at the end when he said this... "I think The Avengers is the kind of movie that I grew up wanting to make and thought they had stopped making." It's got to be awesome for him to have lived his dream of making this movie, and it's going to be awesome for us because it looks like he made the Avengers movie we all envisioned in our own geek minds. The Avengers is based on S.H.I.E.L.D. director Nick Fury trying to unite heroes with extraordinary powers and egos. Did you ever feel like Nick Fury, trying to bring the actors into a team concept, and how did you handle creative differences in this type of situation? I felt very much like Nick Fury. He’s the director of S.H.I.E.L.D., literally, and that puts him at a remove from everybody, even if he likes them. He knows he’s putting them in harm’s way. Hopefully I’m not putting my actors in harm’s way. Hopefully I’m not even making them uncomfortable, but I’m not nearly as intelligent or manipulative as Nick and I didn’t have as many problems because my actors actually wanted to be together. They enjoy each other. But you do feel that responsibility that you’ve got to get all of these people to give their best. For (Fury) it’s in battle, and for me it’s when we’re rolling, to really come up with their best stuff and play off each other as well as possible, and you have a great responsibility to service them with your camera at the same time. So I definitely felt some of the pressure, but I can see out of my left eye. Did you have any particular combination of super heroes that you thought were the most interesting to see interact? I love the Bruce Banner, Tony Stark relationship. Bruce Banner’s the first guy Tony Stark’s come across who operates on his level intellectually, who isn’t a villain. But I also love Tony and Steve (Captain America) and how much they can’t stand each other, and I’m very invested in Natasha and Hawkeye and their deep friendship, so, you know — oh — I love them all. I hate this question (laughs). What advice would you give to any student with ambitions of one day sitting in the director’s chair? My advice would be (to) sit down. Now you’re in the director’s chair. We live in an age where anybody can make a movie. If you have a phone, you can make a movie. OK, maybe not a huge movie, maybe phone-sized, but it’s there. When I came up, you wrote a script, and you hoped and hoped. Or you raised enough money to make a short film. Things are different now and the best way to get your work out there — not just as an offering to somebody else to hope they’ll make it, but to show yourself as a filmmaker and to learn as a filmmaker — is just make movies. There’s no excuse not to now. If you were going to insert yourself into a super hero movie, what powers would you have? I would have the power of invisibility, and then I wouldn’t have to show up for as many shooting days. College students have a lot of options this summer with movies to see during their breaks. 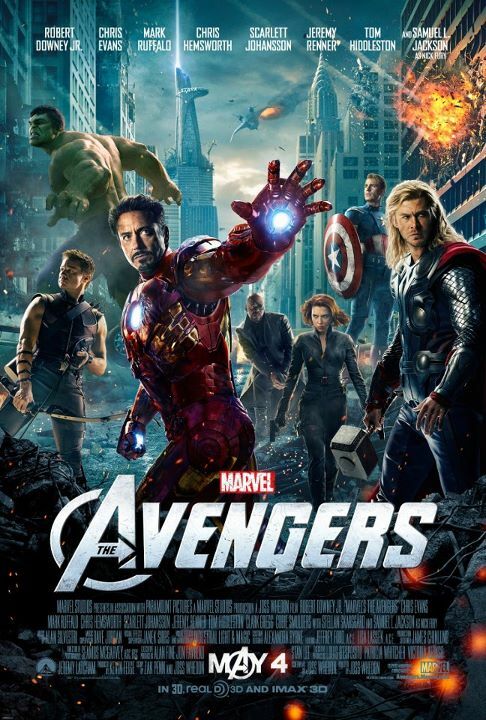 Why should college students have it first on their list to see “The Avengers”? I think “The Avengers” is the kind of movie that I grew up wanting to make and thought they had stopped making. When I grew up, the summer movie was, literally, created as a concept, and all my life I wanted to do something like that, something like the first “Indiana Jones,” something that was steeped in character, in love of the genre that it was portraying, had intelligence, had real acting, had a story that unfolded and wasn’t just a sort of big premise that you already knew going in. It’s a little bit bigger than life, but it’s very human. More and more, summer movies have felt a little cynical. There are very big exceptions to that, but that has been the case when people throw so much money down. They’re not interested in a story, they’re interested in just barraging you with excitement and imagery and brand names. Marvel doesn’t operate that way. They care about the people. That’s why they hire some of the best actors in the business to play their heroes. This is an old-fashioned movie. You can now jump up and shout for joy! Whedon sure does have a way with words and getting the fanboys and fangirls excited. Joss Whedon on THE AVENGERS - "It's not just big... it's BIG!"